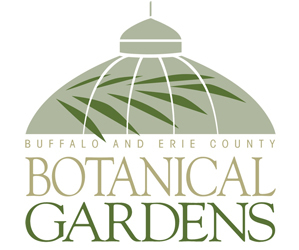 Gardeners in the Buffalo and Western New York area have more plants to choose from than they did just a decade or two ago. The plants are genetically better, too. This is one of the big trends Ron Heimiller has seen in his career as president and head grower at Heimiller Greenhouses in Newfane. The business is celebrating its 30 anniversary. Breeders searched the world for plants that might do well in the United States and bred them for color, growing habits (such as growing in a shapely mound), double or single blooms and other features, he said. If you feel as if you’re encountering brand new plants with odd names every time you go to a garden center, it might be because you’re looking at a new variety you have never encountered before. Even plants you may be familiar with have new varieties. For instance, lots of people know the purple cone flower, which is a variety of echinacea. But there are many varieties of echinacea now. The photo at the beginning of this article shows an echinacea called ‘Pink Double Delight’, which has a profusion of bright pink, pompon-like flowers that measure about three inches across. The plant blooms from mid- through late summer. The flowers are long-lasting and turn lavender pink as they age. You can find echinacea in many other colors as well, including lime green. Another newer perennial is heuchera. 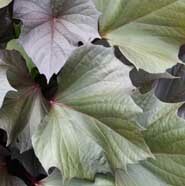 Heimiller carries heuchera in delicious shades of peach and lime, with the varieties named after desserts. 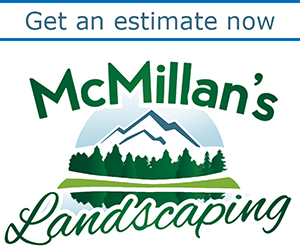 Echinacea and heuchera are perennials and are available now. Annuals, on the other hand, are finishing up at garden centers now, but if you’re like me, you’re already planning for next year. One annual you may want to add to your list for next year is a sweet potato vine. “I remember a customer asking to me to grow that for him and I said, ‘Sure, I’ll give it a try,'” Heimiller said. This annual has become quite popular in the past 20 years. Varieties with chartreuse leaves, such as Impomea batata ‘Marguerite’, are the most popular, Heimiller said. However, new varieties have been introduced in the past 10 years with leaves of other colors and other shapes. Next year, Heimiller plans to carry ‘Sweet Caroline Bewitched’, a sweet potato vine with a dark colored leaf. The leaf is a new shape, not as deeply cut as the leaves on other varieties. It’s shaped more like a maple leaf. 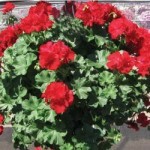 Another popular newer annual is a geranium that is a cross between an ivy geranium and a zonal geranium. The ivy-zonal cross blooms all season in full sun or part shade. They’ve been around for only four or five years, and Heimiller said he’s been raising them for three years. People love ‘Calliope’, which has a dark, dark red flower that you can’t get with a true geranium. “I had them in hanging baskets this year, and they walked out,” Heimiller said. ‘Caliente’ looks more like an ivy geranium and has more of a single flower. It comes in an assortment of colors: hot coral, deep pink, lavender, fire, orange and rose. Another trend in annuals is bi-colored flowers. An example is ‘Picasso’, a petunia hybrid from Proven Winners. The magenta flower is is edged in lime green.They have proved to be popular. “We planted three times as many this year, and we still didn’t have enough,” Heimiller said. Another newer annual with bi-colored varieties is calibrachoa. Heimiller grew ‘Coralberry Punch’ and ‘Blackberry Punch’ this year. Next year they plan to offer ‘Grape Punch’, which is two shades of purple. Photos used with permission from Heimiller Greenhouses.